Households clinging to life like beleaguered islets. Young mothers so shocked they’ve yet to name their newborn. 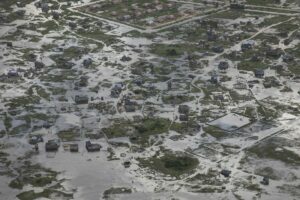 As WFP satellite imagery shows as many as 1.7 million people living in Idai’s path, the worst climate-related disaster to hit Mozambique this millennium is revealing its destructive reach. “To save the lives of those who escaped the cyclone we need funds — and we need them now,” said a visibly shaken WFP Executive Director during a visit to Beira on 26 March. Providing life-saving food to survivors would cost $140 million for the next three months. With the death count now standing at several hundred, but likely to rise further, it will take time to establish the exact number of victims. The focus is now on preventing further deaths. Food and health are the priorities. Some 110,000 displaced people are now sheltering in camps across central Mozambique, while efforts continue to rescue those trapped by the flooding. Photo description: Aerial views from drones and WFP rescue helicopters clearly show the scale of the devastation. With rains forecast to continue in some of the affected areas for the coming days, time is of the essence — and the terrain tough. WFP has already provided assistance to more than 150,000 people and is gearing up to reach 500,000 in a week. WFP helicopters are helping with rescue and damage assessment operations, and bringing much-needed relief — including high-energy biscuits — to people stranded in isolated areas. In Beira, where thousands of people have lost their homes and are now sheltering in churches and schools, WFP is distributing easy-to-prepare fortified cereal mix. Usually reserved for pregnant and nursing women and young children for its high nutritional value, this specialized food is helping survivors through these exceptionally hard circumstances. Further up north, in the city of Dondo, the rain finally gave some respite to those — including many mothers with babies strapped to their backs — lining up to receive food from WFP. Photo description: WFP food assistance is a lifeline for people who lost everything in the cyclone. WFP’s emergency machinery is in full operation across borders. 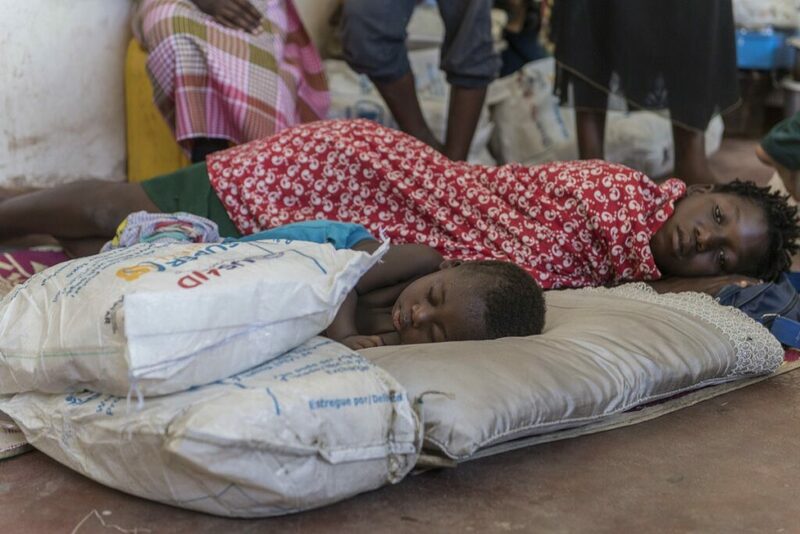 The fortified cereals were stored in WFP’s warehouse in Beira, which was severely damaged by the cyclone, but food stocks are coming in from countries near and far. A 20-ton cargo of high-energy biscuits arrived by air from a WFP-managed depot in Dubai, and food including vegetable oil is being trucked in from neighboring countries. Amid the devastation, technology is playing a crucial role in supporting the planning, coordination and running of the humanitarian response. WFP is supporting the use of drones to assess damage in urban and remote areas and is working with private sector partners to restore essential communications and connectivity services through the multi-agency Emergency Telecommunications Cluster (ETC). WFP is gearing up to assist up to 1.7 million affected people. 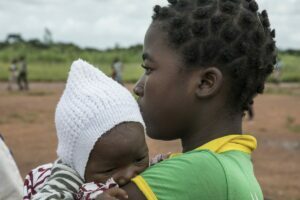 Help WFP save the lives of those affected by Cyclone Idai.